Ever since the launch of its platform, the Enzo Casino has become one of the greatest sources of online entertainment, distributing games from a variety of software providers, and enabling bonuses on multiple occasions. The site is available in English, Swedish, Spanish, Russian, German, Norwegian, French, Italian, Danish, and Finnish, so those viewers who are inclined to use a particular language version of the service – may often choose the one they feel most comfortable with. The customer support can be reached via the live chat option, or contacted simply by email, which is always a good way to get in contact with the casino staff. The EnzoCasino has an official license to operate and offer its gambling wares on the internet, which is where you will find its current setup. Of course, such activity comes with an age restriction, as only adults may enter the lobby and play the games offered by an online casino (18+). Would you like to try some of the newest online games – if so, then Enzo Casino is your gateway to the world of digital gambling; providing everything, from video slots to live casino, card and table games, classic slots, scratch cards, video poker, micro bets, VIP games, jackpot, and action games. 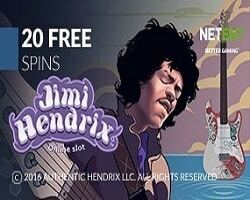 Offering the latest in slots and other casino games from: Booming, Mr Slotty, Play’n GO, Xplosive, BetSoft, BestSlots, Fugaso, GS, Felix Gaming, Playson, Felix Gaming, Playson, Noble, Booongo, Iron Dog, SA Gaming, Leap, Evoplay, 1x2gaming, and Wazdan – seems like the perfect combination to make the gameplay more exciting than ever. Popular slot titles like The Masked Prince, Astro Pandas, Lucky Girls, Fruits Land, USSR Grocery, Syndicate, Los Muertos, Black Hawk, Deluxe, Rock Paper Scissors, Parrots Rock, Supreme Fortune, Book of Gold: Double Chance, are a really good introduction into the world of EnzoCasino. Bitcoin, ecoPayz, Skrill, paysafecard, Neteller, Visa, Maestro, and MasterCard, are all accepted as valid payment options.